Welcome to the Bahamas! If warm temperatures, crystal clear waters and an abundance of bonefish sound like your idea of fun, then this is the place for you! With its close proximity to the United States, the Bahamas makes for a perfect getaway for any length of stay – easy day trips as well as affordable week long trips. The water in the Bahamas is truly breathtaking and the wealth of marine life is absolutely incredible. With flats stretching as far as the eye can see, there is no shortage of bonefish and also good opportunities for tarpon, permit, shark and barracuda. There is also a great offshore fishery. 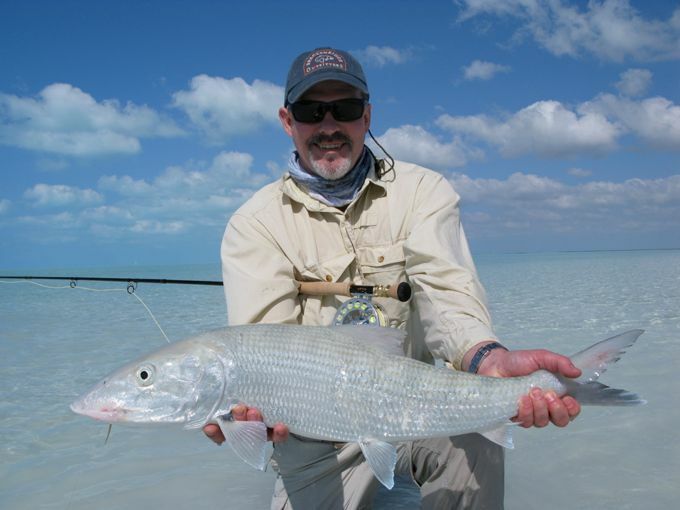 Fly fishing in the Bahamas is an amazing experience – whether you are wading in shin deep water casting to schools of bonefish or stripping poppers along the surface for barracuda, there is an overwhelming feeling of isolation and excitement. With nothing manmade in sight, it’s only you, your fly rod and endless opportunity.